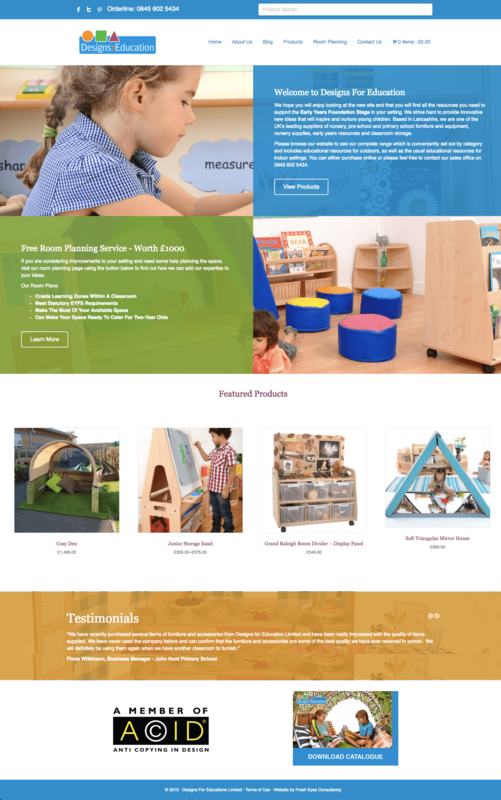 Based in the United Kingdom, Designs For Education provide nursery and primary school furniture. This project comprised the rebuild of an ecommerce website, so visitors could use the site and buy with ease on any device. We migrated all of the products from the previous shopping cart into a new WordPress based site, redirecting URLs to ensure no traffic was lost. You can view the Designs For Education website here. Would you like our help to get better results from your website, or with your website project? Please enter your details below for a free, no obligation discussion.